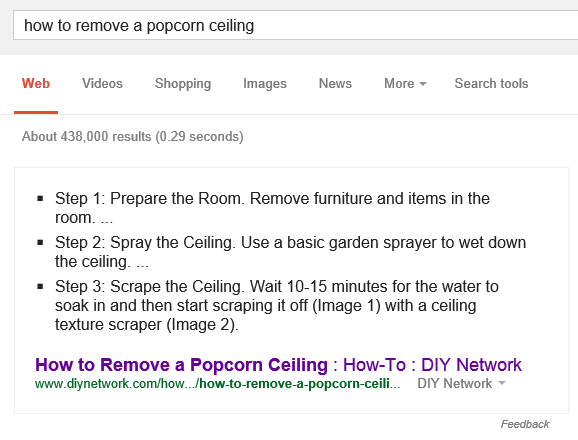 I mentioned a few months ago that Google now answers complicated questions. Depending on your query, you might see a long answer obtained from a web page. 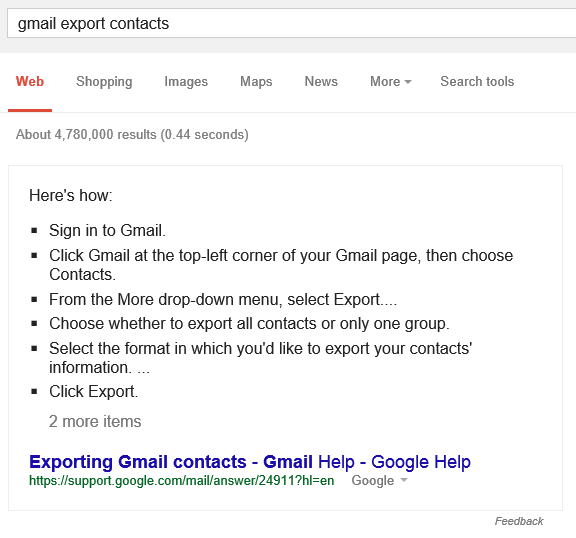 When searching for [gmail export contacts], Google now lists the steps right on the search results page, so you don't have to click the search result and find the answer. 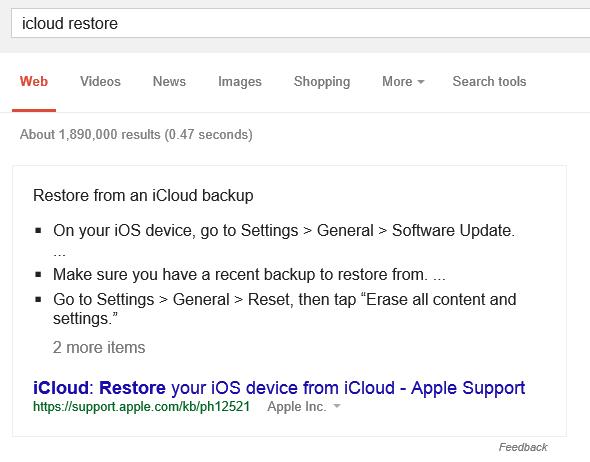 Here's a similar example for [icloud restore]. Notice how Google removes some of the text from the article to keep it brief. The answers aren't limited to tech-related queries. You can also find [how to remove a popcorn ceiling], [how to install a toilet], [how to change a tire], [how to boil eggs] and more. That's wonderful. 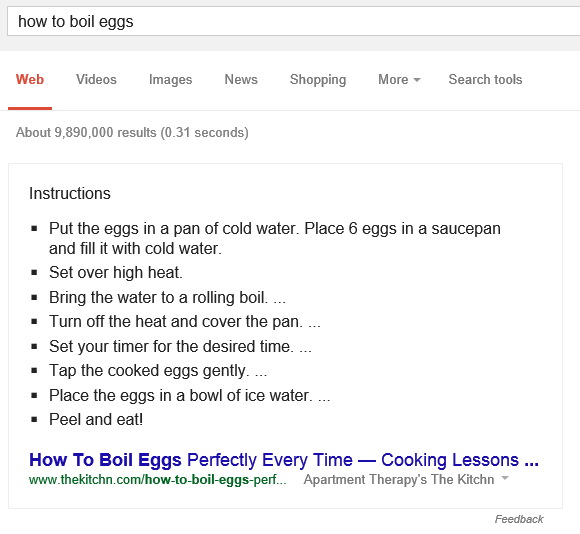 But is it done by google automatically or website owners can add some structure to the steps (like Schema) ?